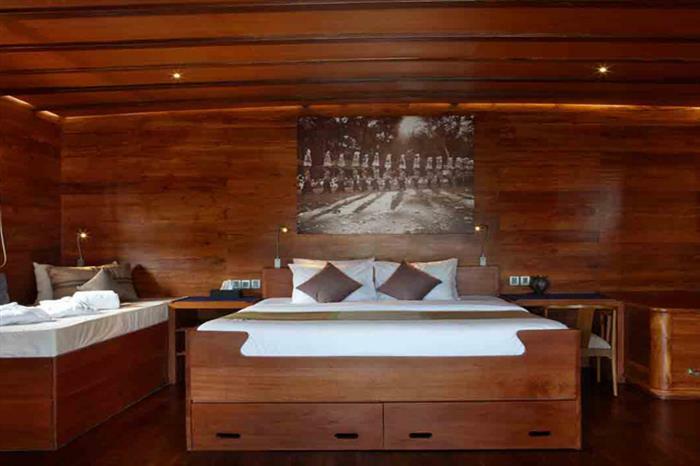 The crew aboard The Damai II make a guest�s comfort their priority, offering well maintained suites, providing delicious traditional, Western, or vegetarian cuisine, and taking divers to some of the most beautiful spots to dive in Indonesia. 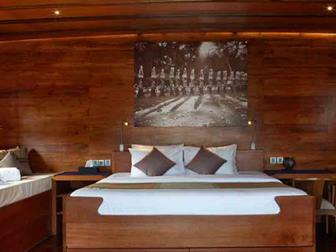 Each of the luxury cabins includes a king or queen size bed, en-suite bathrooms, and charging stations. 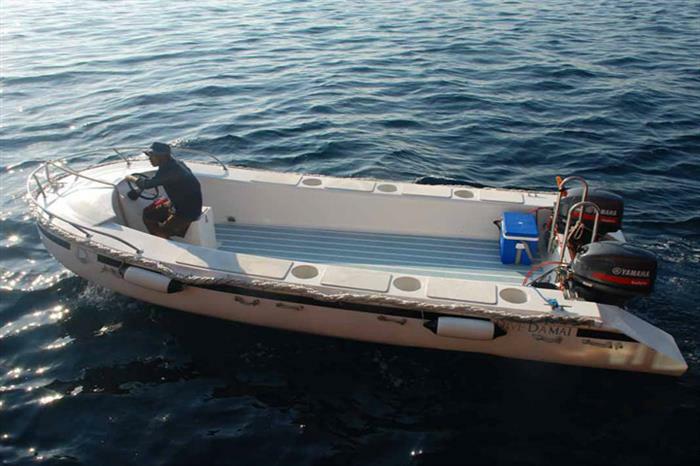 The Damai II�s diving amenities include year-round diving trips, spacious dive deck, a photography room with photo work stations, rinse tanks, and more. 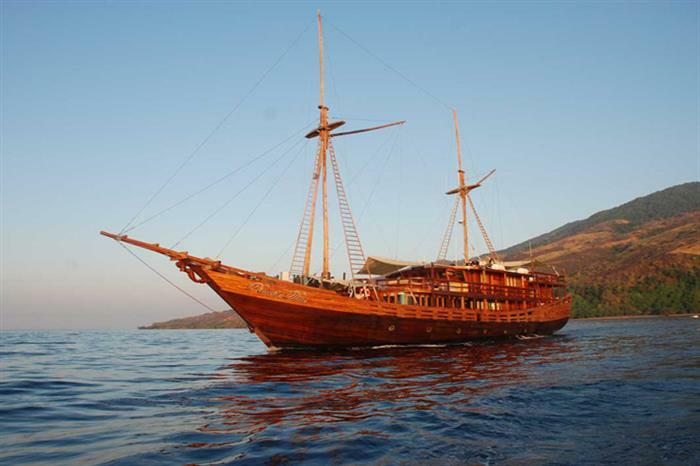 Explore the Indonesian waters and take in the beautiful coral reefs, thousands of species of fish, wrecks, and stunning walls. 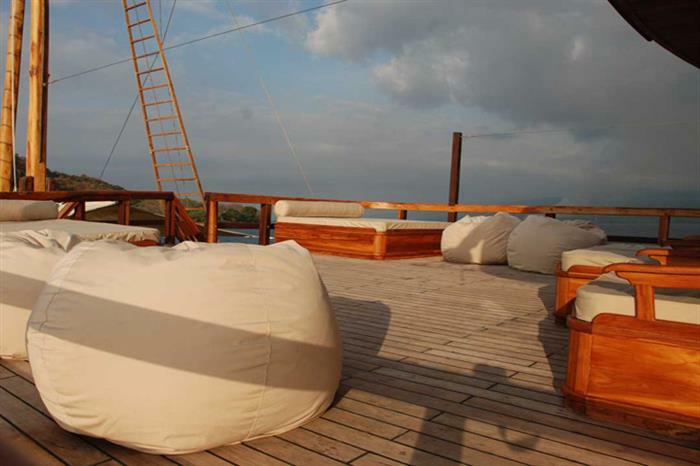 And with multiple sun decks, there�s room for you to relax after a long day spent diving. 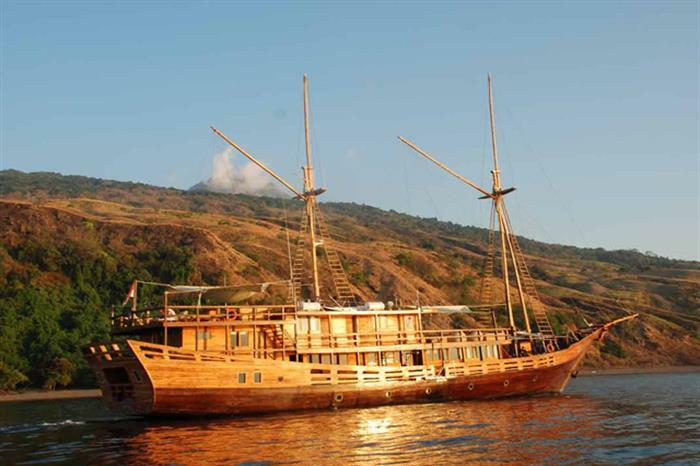 For a diving holiday in Indonesia�s archipelago, look no further than the Damai II liveaboard and book today! 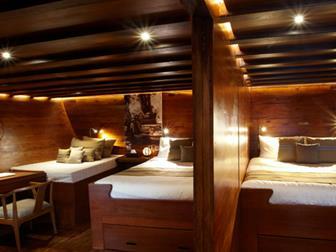 Cabin with a queen-size bed and a separate day bed. 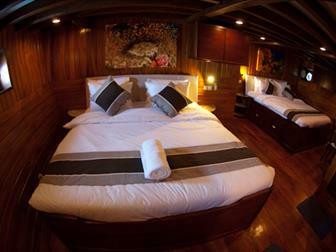 Single occupancy available for at no surcharge. 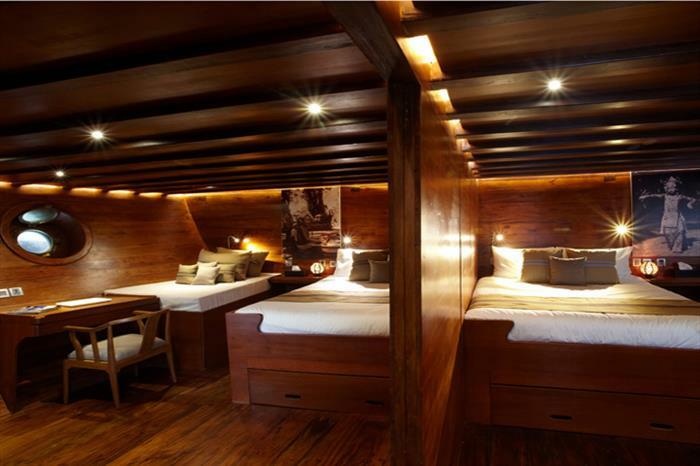 King-size bed and a separate day bed. 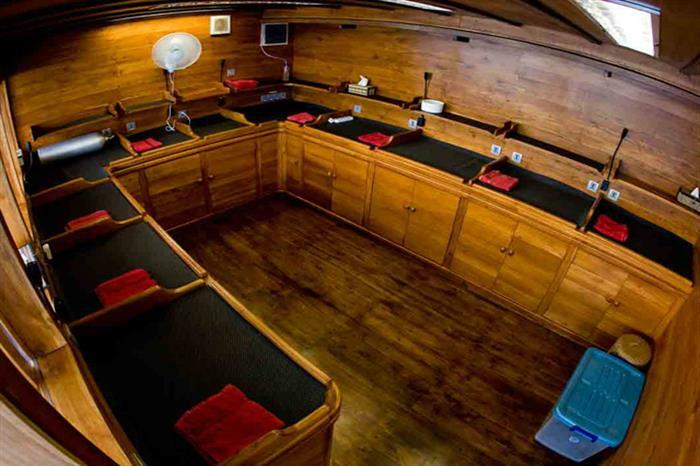 The cabins have aThese cabins boast their own private deck with loungers, a super-king size bed, day bed, two desks and separate shower and head. Excluded: All vessel port and harbor fees (between USD5 and USD25 per day depending on the destination), Fuel surcharge for long distance crossings of over 500 miles, a? USD 50? 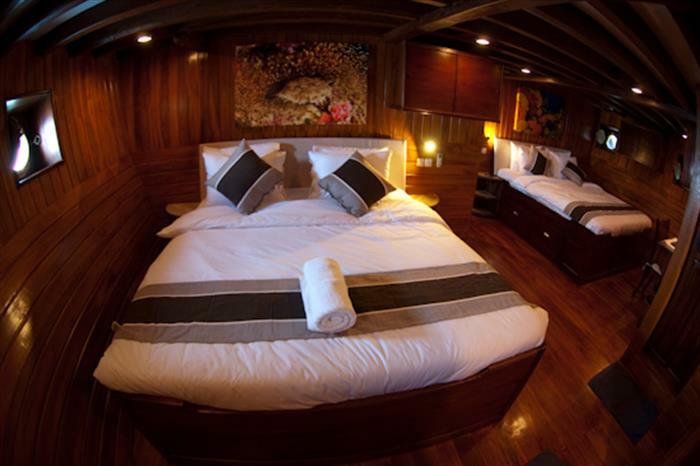 per person and night supplement for the use of the Master cabin, a USD 100? 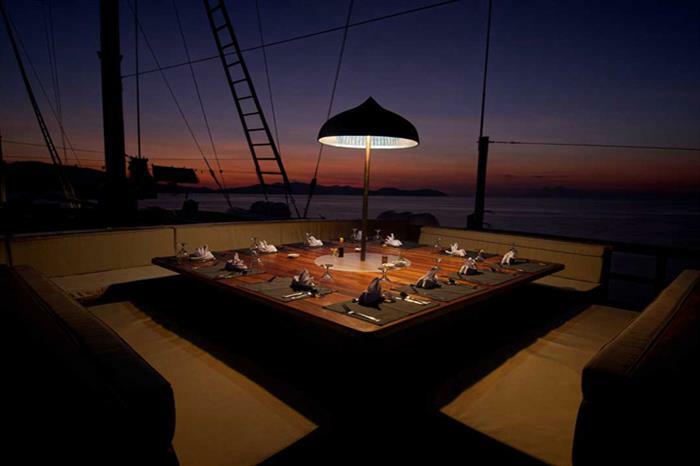 per person and night supplement for the use of the Single cabin, FOC for repetitive guests, National Park/maritime areas entrances fee ((between USD 50 and 150 depending on destination), USD10 per treatment, Travel insurance, Crew gratuities, International and domestic air, land, sea transportation, and excess baggage, Visa, hotels and food ashore before and after the cruise, Vip service at the airport.